18 Mar 2019 --- Artificial intelligence (AI) was once considered the future but has now become a part of daily life. Automation has made processes easier, more agile and faster. These are important factors that have led many industries, including packaging, to gravitate towards implementing pioneering AI systems. PackagingInsights talks with industry experts on the potential of AI within the sector. The internet is transforming the grocery trade, just as it has revolutionized so many other retail sectors. Technology is transforming both supply chains and the consumer’s relationship with shopping and products alike, and packaging has a key role to play in this. 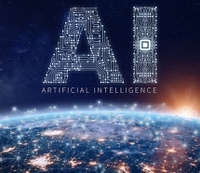 This is according to Alexandre Carvalho, Marketing Services Director at Tetra Pak speaking with PackagingInsights about the benefits of AI. “While the primary purpose of packaging will always be one of protection and preservation, it now offers great potential for personalization and a consumer experience that can both surprise and delight the consumer. 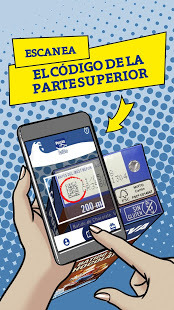 Thanks to smart packaging technology, every package sold can now carry a unique digital identifier, creating the opportunity for direct one-to-one conversations with consumers, as well as helping drive efficiencies across the entire supply chain,” Carvalho says. Via innovative radio frequency identification (RFID) applications on packages, e-retailers have seen up to 30 percent increases of a specific brand’s sales, he explains. E-retailers are able to leverage their deep customer data to identify the most desirable, and profitable products and this is contributing to an ongoing shift in the balance of power from brands to e-retailers, who possess the biggest store of personal data and can therefore “own” the consumer relationship – while developing their own private label offering. “Brands are using customer data collected across digital touch points, be that when they order online, or through smart packaging features, to solve complex and personal challenges for consumers one-on-one. Data can also be used to create custom products in smaller batches to meet ever more specialist needs,” Carvalho notes. 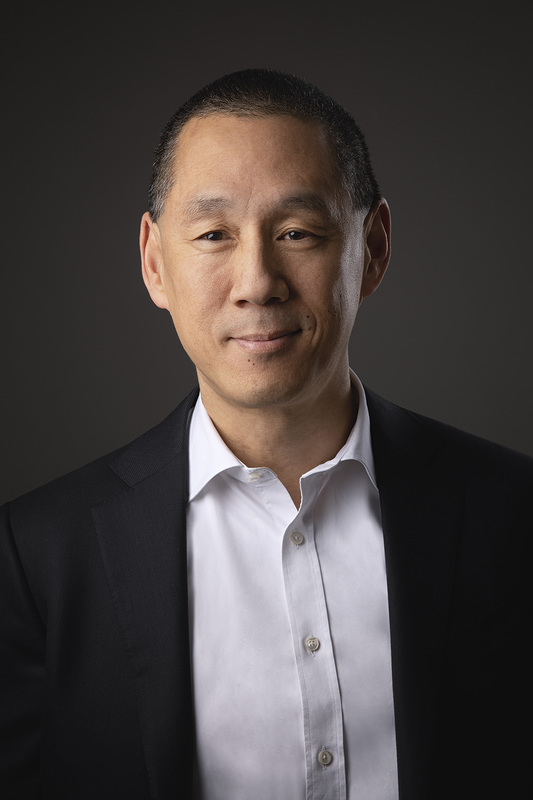 Click to EnlargeMin-Kin Mak, Vice President Corporate Development and Digital Transformation at SIGMin-Kin Mak, Vice President Corporate Development and Digital Transformation at SIG, tells PackagingInsights that AI will impact packaging in three distinctive ways. First, via the use of analytics and predictive tools that will allow a better match between demand and supply by recognizing patterns and analyzing fluctuations on the consumer-demand side and allocating supply capacity along the value chain in time. Second, on a production level, AI tools can optimize technical parameters to drive higher output and improve reliability/technical availability of equipment (e.g., predictive/prescriptive maintenance). And last, he says, moving forward in digitizing the pack itself, like in the case of SIG’s Connected Pack solutions, for example, AI will enhance the customer experience by personalizing the content associated with a specific pack. “Messages and interactions triggered by scanning a pack can, for example, be specific to the shop the product was bought at or the location the product is being used at,” Mak says. A major overarching trend in packaging is sustainability. “Recyclable Design” was tipped by Innova Market Insights as the number one industry trend for 2019. How AI fits into this trend is the question that remains. “AI will trigger and accelerate trends that positively impact sustainability, such as increasing system efficiency, which goes usually hand-in-hand with an environmental footprint reduction. Additionally, predicting demand and consumption, for example, based on weather data can help improve food supply efficiency by reducing avoidable food losses from field-to-fork,” Mak explains. He explains that from an e-retailer perspective, secondary packaging, such as film wrap on product trays, adds considerable time and complexity, and some e-commerce pure players report that removing such packaging prior to repacking for fulfillment accounts for 10 percent of a product’s costs. As online grocery sales increase, food and beverage producers will need to have a closer look at their secondary packaging and come up with new solutions to create value in an increasingly omnichannel market place. “Over the last year, Tetra Pak has been working on a research project with a design consultancy to explore new ways of creating value in this space, and one concept that we have developed is the online grocery-ready package. This concept aims either to redesign secondary packaging to reduce complexity or to reinforce primary packs to remove the need for secondary packaging entirely,” Carvalho notes. Despite its many reported benefits, there are certain limiting parameters of AI that are not easy to tackle. According to Mak, AI requires sufficiently specific data, meaning that data collection is a pre-requisite for applying AI tools. Therefore, packaging companies need to identify use cases before generating and storing data. “Often, this involves investments into sensors, connectivity, cloud solutions, etc. Identifying those use cases with the biggest business impact and a compelling financial case will determine the uptake of AI in the packaging industry,” Mak notes. Additionally, “fast-growing online grocery will be a major disruption for the industry – with double-digit growth in online grocery expected in the next four years,” says Carvalho. Offline and online are merging to create both a better consumer experience and better efficiency for the entire supply chain. “Online grocery today is still largely for stock-up. But we expect that to change as delivery becomes faster, prompting the shift to convenience shopping that dominates physical retail stores. As an ever-growing number of consumers are going online, this brings new opportunities for food and beverage brands to engage consumers directly and stay relevant. In this space, a smart, digitally-enhanced shopping experience has become a reality in supermarkets after the strategic partnering of Israeli start-up company Supersmart and packaging and labeling innovators Bizerba. The top technology trend identified in a Tetra Pak e-retailer survey in 2018’s Index were data carrier systems such as RFID and QR (Quick Response) codes, which are key enablers of a transformational data chain for the company’s customers. Tetra Pak is currently piloting RFID to transfer packaging material information between its factories and filling machines at customer sites. This has a number of benefits, such as reduction of operator dependence through the automatic reading of tags, mitigation of incident risk by automatically matching packaging material and filled product content, increased traceability, optimized logistics and warehousing and waste reduction. In the same space, SIG is applying AI tools to improve its own capabilities to better meet customer demand. This includes the introduction of machine data based predictive maintenance and the digitization of SIG’s production. “At a later stage, SIG will integrate AI into its solutions portfolio for Smart Factories and Connected Packs. This includes the consideration of ways to use this technology for further lowering SIG’s environmental footprint and increase benefits for society,” Mak notes. Looking ahead, the increased use of robots to pick and pack products for shipment holds a lot of potential. The whole process, from parcel sorting to loading on to trucks, could well be fully automated. The use of robots to pick and pack products increases the capacity by about four times that of human run centers, according to Carvalho. “The packaging industry might see the introduction of dynamic pricing along the value chain, thereby optimizing economic value for the industry players,” Mak says. “Our e-retailer survey also suggests that the use of technology in order fulfillment and the last mile could cut delivery times to within 10 minutes of purchase by 2025. This would significantly change consumer attitudes to online grocery shopping, driving them to buy in smaller amounts, more frequently, often for immediate consumption; to store less and to be much more conscious of food waste,” Carvalho concludes. As technology moves forward, automation, e-commerce and how AI fits in the equation will be a topic that will continue to pique industry interest. Founded 1853, SIG is headquartered in Neuhausen, Switzerland. The skills and experience of our approximately 5,000 employees worldwide enable us to respond quickly and effectively to the needs of our customers in over 60 countries. In 2018, SIG produced more than 35 billion carton packs and generated €1.7 billion in revenue. For more information, visit www.sig.biz.